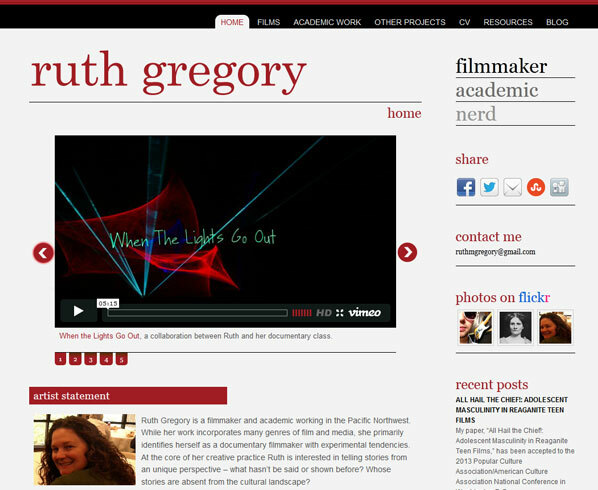 Film professor Ruth Gregory wanted an online portfolio that would include her filmwork, her interests and academic experience. Since she also wanted to be able to update the content herself, WordPress was selected as the platform for her site, with a custom designed theme. She also wanted to bring in her Flickr account photos to serve as a supplement to her film portfolio.